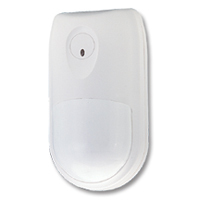 Motion Detector / Motion Sensor | IR-TEC International Ltd.
DP-250 Motion Detector is a high quality PIR+MW dual technology sensor with esthetically pleasant housing design. 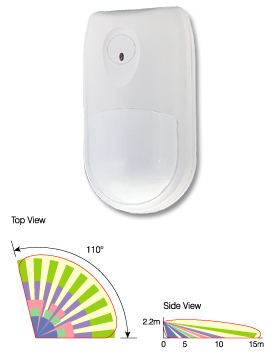 This state-of-the-art product is a combination of passive infrared and microwave sensors. The alarm signal of the Motion Sensor is generated only when both sensors detect the intrusion at the same time. Therefore, its detection reliability is virtually greater than single technology device. DP-250 can protect the area up to 15 m long and 110 degree wide from intrusion. For security system requires reliable detection, DP-250 Motion Sensor is a cost-effective solution.